Are you looking for a small website but require the ability to manage the content on your pages, add new pages, images, blogs etc…? You may have looked at web development with content management but found the cost a little too expensive.So what if there was an inexpensive solution that would allow you to have content managed website at a more realistic price? You may be aware of solutions on the Net but just don’t have the technical ability to implement these systems, coding and skinning the content management system with the pretty stuff being the design. Using WordPress Open Source software we are able to offer this solution and create a beautiful website or blog that is professional and most of all offering you the ability to manage your site as often as you wish. Tristar will build the website for you integrate the WordPress back-end system with a pre-designed template or even design a template specifically for you. We are also able to offer a web hosting solution for you, upload and install the software and initiate functionality so that you will be able to add your content. 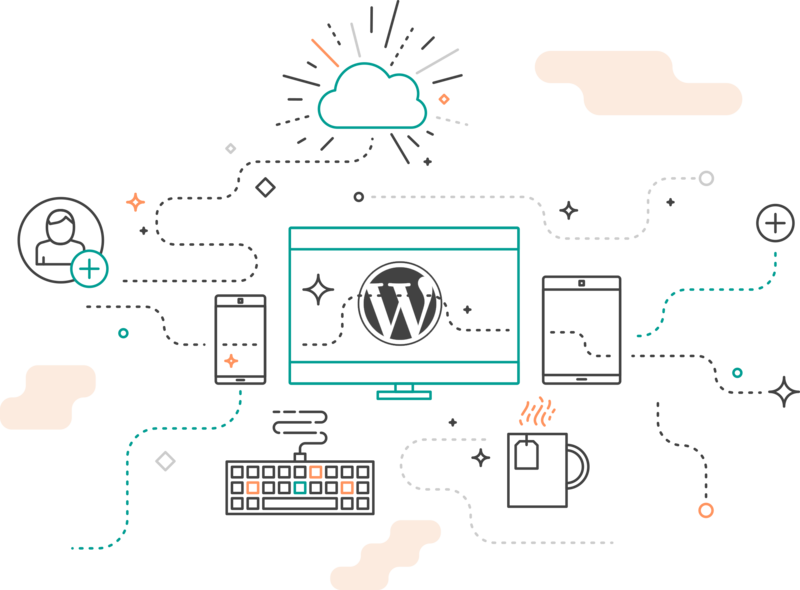 Want to find out more about WordPress Website Design? WordPress is a fully W3C Content Management and/or blog website solution with a host of features built in with the ability to use all/switch off features and functionality where it is required. WordPress plugins allow for the installation of all kinds of extra features and functionality such as galleries, booking systems and much more, what’s more, we can produce bespoke designs for your WordPress website or simply use a template and change the branding to suit your business which can keep the production cost down. WordPress generated code is in full compliance with the standards of the W3C. This is important not only for interoperability with today’s browser but also for forwarding compatibility with the tools of the next generation. Changes you make to your templates or entries are reflected immediately on your site, with no need to rebuild static pages. Pages allow you to manage non-blog content easily, so, for example, you could have a static “Services” page that you manage through WordPress. WordPress comes with a full theme system which makes designing everything from the simplest blog to the most complicated website easier, and you can even have multiple themes with totally different looks that you switch with a single click. Have a new design every day. WordPress fully supports both the Trackback and Pingback standards, and we are committed to supporting future standards as they develop. You can have types of users that can only post drafts, not publish to the front page. When using the blog functionality Visitors to your site can leave comments on individual entries, and through Trackback or Pingback can comment on their own site. You can enable or disable comments on a per-post basis. WordPress comes with very robust tools such as an integrated blacklist and open proxy checker to manage and eliminate comment spam on your blog, and there is also a rich array of plugins that can take this functionality a step further. WordPress has a built-in user registration system that (if required) will allow visitors to register and maintain profiles and leave comments on your blog. You can give passwords to individual posts to hide them from the public. WordPress’ highly advanced user system allows up to 10 levels of users, with different levels having different (and configurable) privileges with regard to publishing, editing, options, and other users.